Confined Space Entry is a highly regulated activity because of the inherent danger it poses to personnel and the associated liability involved. That’s why many customers turn to RDO for their Confined Space Entry needs. At RDO we have OSHA certified technicians trained in Confined Space Entry, utilizing vapor monitors and supplied air respirators. 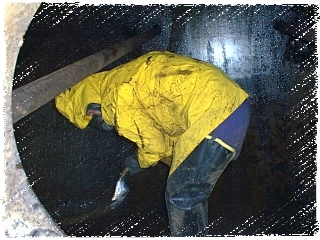 Because we are specialists, RDO personnel can enter just about any Confined Space. RDO has State of Nevada Certified Environmental Managers that oversee and manage all Confined Space Work which ensures our customers of the highest level of safety and performance. RDO’s adherence to strict Confined Space Entry Protocol, including respiratory protection, medical monitoring and equipment maintenance programs is necessary to ensure no mishaps occur. Our goal is safety first. 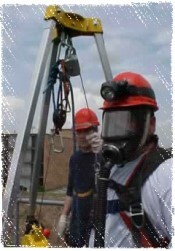 Confined Space Entry work is inherently dangerous, but the personnel at RDO can make it a worry-free experience. For performance and peace-of-mind, let RDO handle your Confined Space Entry needs.